The relief rally in equities appears to have run out of steam as risk aversion gained momentum on concerns trade talks are not progressing fast enough and global growth fails to show signs of stabilisation, despite accommodative stances globally. The US dollar and Japanese yen could continue to see gains if the political risks yield no progress and the economic backdrop continues to diminish. 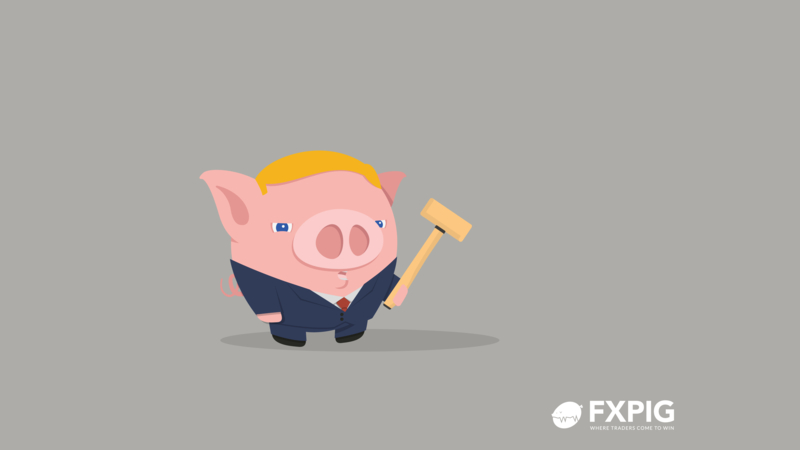 ‍King dollar is back, as the Treasury yield curve steadily declined in a week that was filled with fading optimism we will see clear signals that trade talks are nearing a framework deal and on global growth slowdown concerns. The dollar was stronger against all of its major trading partners with the exception of the Japanese yen as risk aversion remained the dominant theme. High-beta currencies remain vulnerable, despite last month’s clear dovish pivot by the Fed, as accommodative stances were signalled by RBA and BOE this week, joining the likes of the ECB, RNBZ and PBOC. ‍US stocks seem to lack direction, despite accommodative stances signalled across the board by all the major economies, as uncertainty remains high on both global growth concerns and the trade front. Key deadlines on trade are nearing; On February 17th a report is due from Commerce Department on potential tariffs on European autos and the March 1st deadline for China to deliver enough concessions to the US to avoid an increase in tariffs from 10% to 25%. Stocks pared losses on Friday after some positive corporate earnings, but will unlikely see the remaining companies due to report deliver another major move higher. Until the markets see clarity and substantial progress on political risks on Brexit, the trade war between China and the US, the brewing one with the US and Europe, and the government shutdown, it will be difficult for stocks to make a run towards last year’s highs. ‍With seven weeks left until the UK’s exit from the EU, the base case for Brexit remains that it will be extended. Thursday’s talks with the EU did not deliver any concessions but signalled they will remain open and likely come to a head later in the month. Next week, PM May will need to deliver a revised deal in the House of Commons on February 13th and Parliament will vote on amendments the next day. Brussels is starting to worry they are going to get blamed if we see a no-deal Brexit, but is unlikely to compromise on the backstop or offer up any significant concessions to PM May. ‍West Texas Intermediate crude’s biggest weekly loss since December came as oil drillers ramped up drilling for the second time this year and US is speaking directly to Venezuela’s military insisting they abandon support for Maduro. Working American oil rigs rose 0.8% to 854 rigs this week, a sign that producers are becoming more optimistic as oil prices remain well off the December lows. Increased US production and a positive resolution in Venezuela, alongside with the ending of sanctions could however spur significant downward pressure for oil prices. ‍Securities and Exchange Commissioner Robert Jackson may have thrown Bitcoin a lifeline that may have squeezed out shorts and prevented a collapse below the heavily watched $3,000 level. The commissioner expressed optimism that he eventually could see a Bitcoin exchange-traded fund gain approval from the SEC. While the hurdles for a crypto exchange-traded fund are immense, today’s headlines just squeezed out shorts and may not reflect the optimism of any significant progress forward. The security risks are too great and despite the fall in volatility, we could see this rally find key resistance from the $4,000 level.